I can’t believe that our school year is finally over! I am so ready! 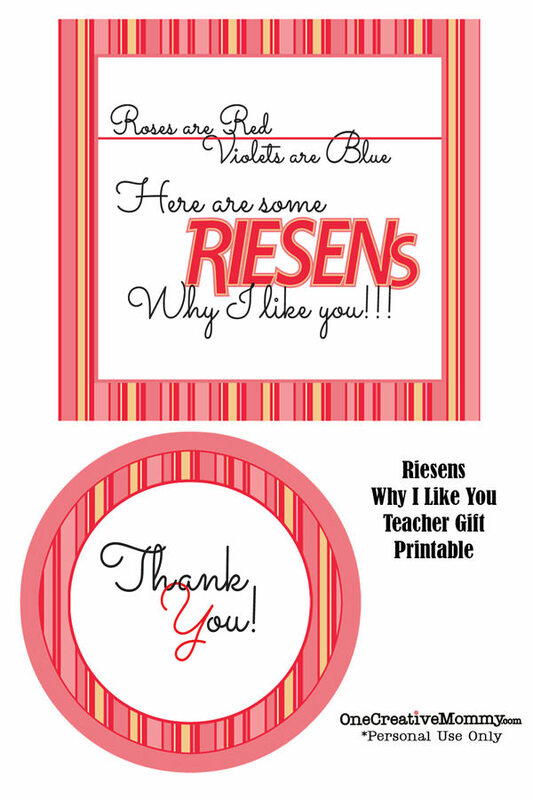 I know many of you still have a few more weeks to go, so I’m sharing this fun Riesens Candy Teacher Gift Idea. The project is super simple. Get your kids to write down some reasons why they like they teacher. 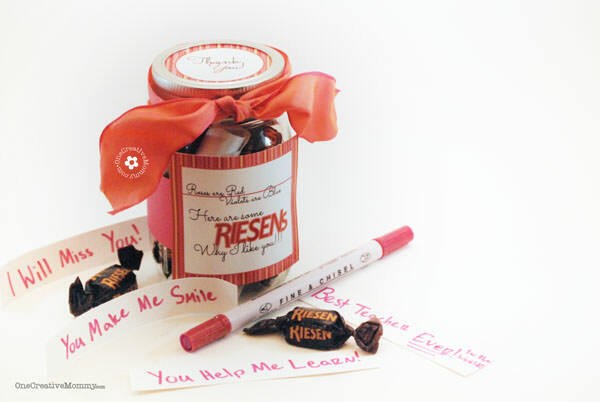 Roll them up and add them to a jar filled with Riesens candy. 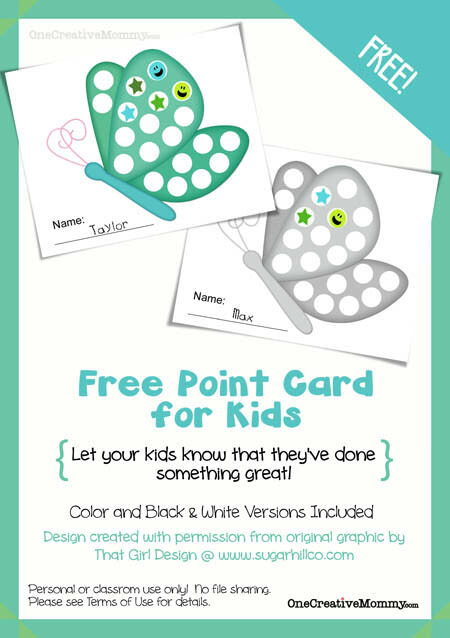 Print the free printable (I’ve included a 4×6″ version for printing as a photo and an 8 1/2 x 11″ pdf version for printing on card stock), and glue the pieces to the jar. 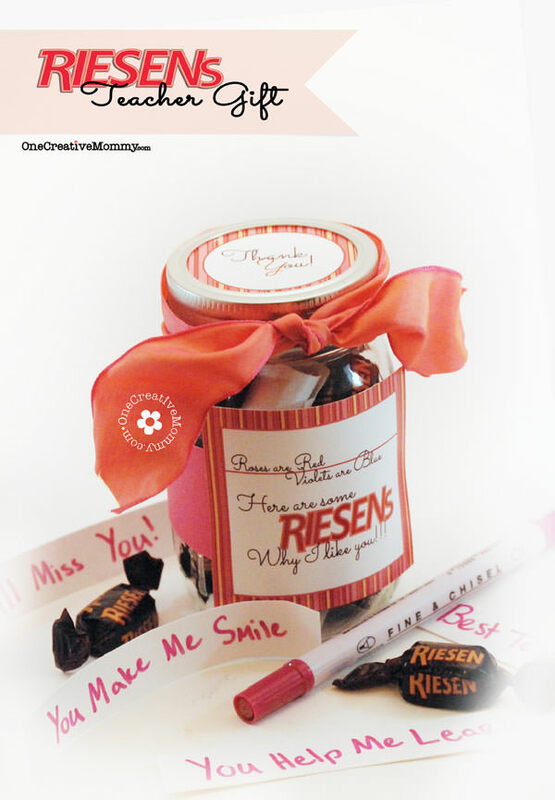 I added a colored strip of paper around the middle of the jar and a ribbon at the top. Would you believe that I got so caught up in getting this project ready to post that I completely forgot that my kindergartener was done with school on Tuesday? (The rest are done tomorrow.) If you’ve been reading my blog for very long, I’m sure you have no trouble believing it! Sometimes I get so busy that I get a little scatterbrained. I like to call it, “Mom Brain.” Anyone else suffer from that particular ailment? It’s a good thing that the kindergarten teachers will still be in the school all week. Lou and I are off to drop off the gift in a little while. Ready to download? Here you go! The button is linked to the file. For those of you with a few weeks still left of school, hang in there! You’re almost done. Get ready for a fun-filled summer! For those of you who are already done, enjoy it! What a cute and heartfelt way to say Thank you at the end of the year. I bet the teacher will really enjoy reading all the reasons in the jar. Thanks so much for linking up at the Real Family Fun link party! Hope to see you next week. Very cute idea. Thanks so much for sharing with Adorned From Above’s Blog Hop 55. We can’t wait to see what you have for us this week. This weeks party is live. 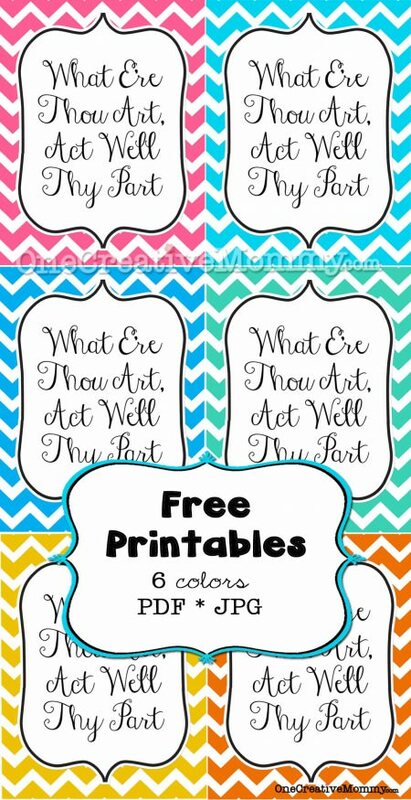 This is such a cute idea for a teacher gift! It would be great for volunteers too! Thanks, Marilyn. You’re right. 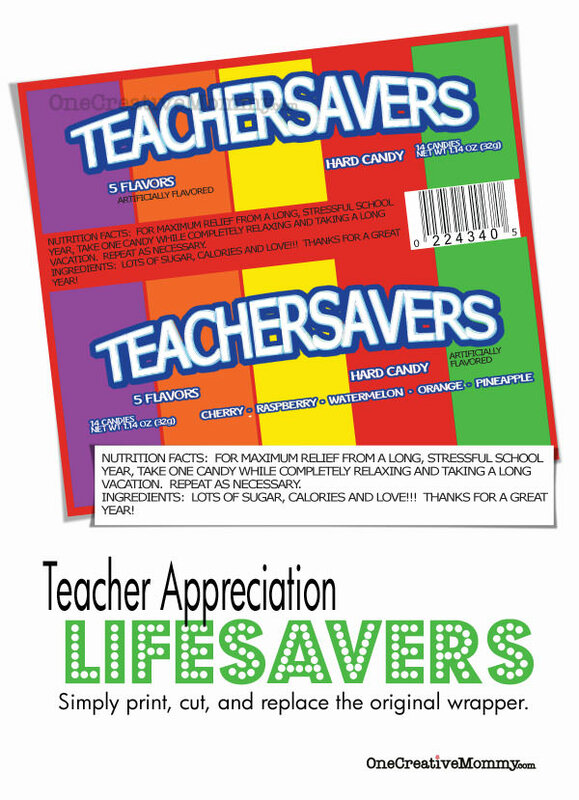 That would be a fun gift for a teacher to give to her helpers.